Ellen and her girls, Harmony and Eclipse. When I am close to horses I am grounded, deeply connected to nature. They are a filter through which I experience the world. Horses are no longer simply something in the landscape, they are my landscape. I am drawn to their form; the curves, the undulating lines, the myriad colors and patterns of their coats. It is through this lens that I view the world. I have developed this body of work over the course of two decades. Animals have always provided me with a sense of purpose and belonging; with them I am complete. Moving within a herd, observing their interactions, contemplating their relationships, recognizing their sense of belonging, I feel at home. As more people remember the profound relationships between all living beings, our connection to the natural world is restored. 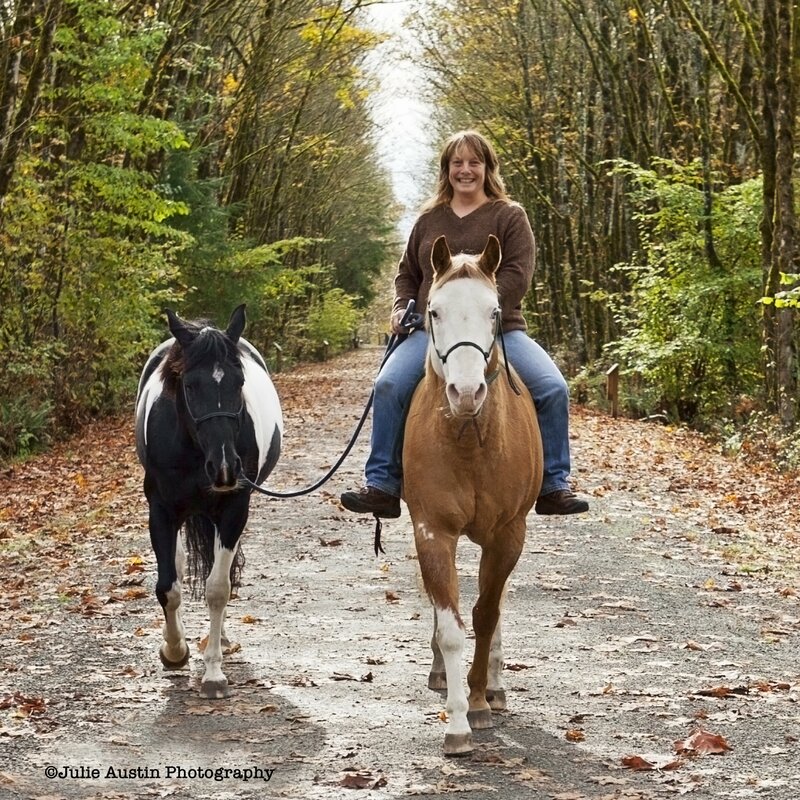 Ellen lives on a small farm in Arlington, WA, surrounded by her animal family. She has been a tenured member of the faculty in the Photography Department at Everett Community College for 18 years. She is also the founder and director of New Moon. Farm Sanctuary, a non-profit animal rescue.